TM29 in Pokémon: Let's Go, Pikachu! and Let's Go, Eevee! Scald (Japanese: ねっとう Boiling Water) is a damage-dealing Water-type move introduced in Generation V. It has been TM55 since Generation V.
Scald inflicts damage and has a 30% chance of burning the target. 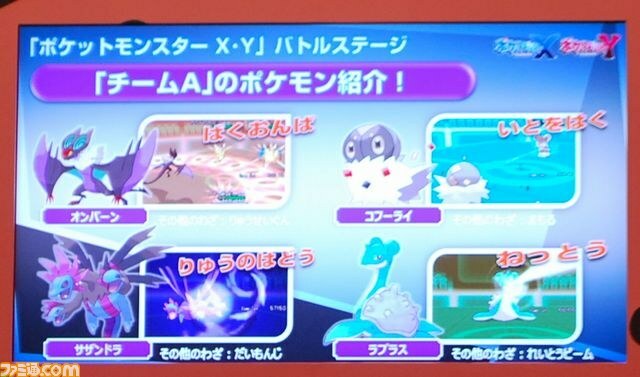 Upon execution, Scald will thaw the user if frozen (even if the move fails to hit the target). Scald now also thaws a frozen target hit by it. BWB2W2 The user shoots boiling hot water at its target. It may also leave the target with a burn. SMUSUM The user shoots boiling hot water at its target. This may also leave the target with a burn. Prior to an update to Niantic's servers on July 30, 2016, Scald had a power of 35. Prior to an update to Niantic's servers on February 16, 2017, Scald had a power of 55, an energy bar of , and a duration of 4.0 seconds. Poliwhirl may only know this move if it was obtained before February 16, 2017. MDGtI It damages an enemy. It could also cause the Burn status condition. With the Burn status, the enemy keeps taking damage and its Attack also goes down slightly. SMD It damages an enemy. It could also leave the enemy with a burn. It will thaw a frozen Pokémon. The user launches boiling hot water at the opponent. Ducklett Ducklett releases a stream of scalding hot water surrounded by steam from its mouth at the opponent. Stunfisk Stunfisk rises up on its tailfin and releases a stream of scalding hot water surrounded by steam from its mouth at the opponent. When the stream of water hits the opponent, a thin wall of steam appears in front of it. Lotad Lotad releases a stream of scalding hot water surrounded by steam from its mouth at the opponent. The user fires boiling hot water at the opponent. Tirtouga Tirtouga fires boiling water from its mouth at the opponent. Jellicent Jellicent fires boiling water from its underside at the opponent. The target has a chance of being burned. Prior to the release of Pokémon X and Y, a banner at the Summer 2013 World Hobby Fair showed Lapras using Scald, but Lapras cannot learn Scald in the final release of the game.